nothing says St. Patrick's Day like green bow tied nails, right? 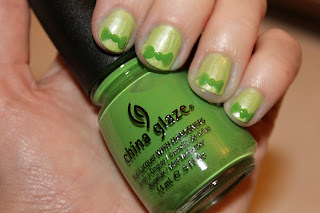 those cute little bow ties were fun and easy to create. if you're interested in how it is done, follow below. begin with basecoat, topcoat, and polish colors of choice. with St. Patrick's Day approaching, the obvious choice for me was green. paint your basecoat, followed by nail color, onto nail bed. 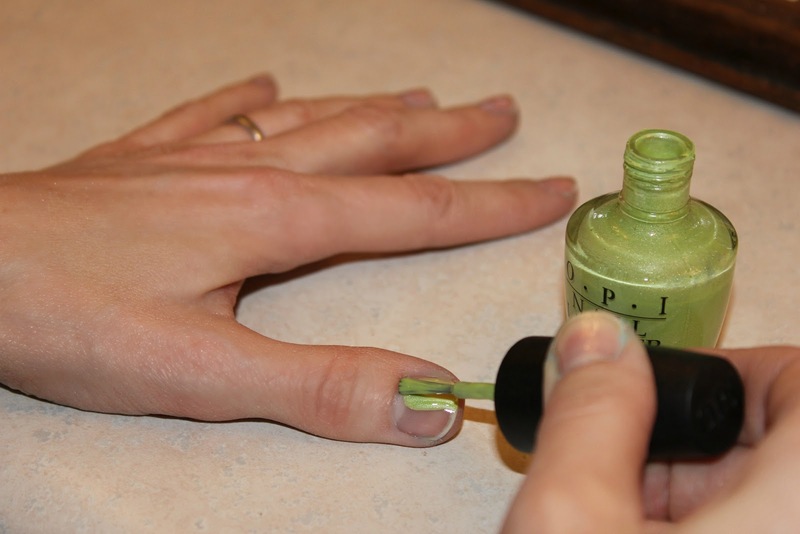 once nail color is dry, apply three dots. center dot should be slightly smaller than outside dots. 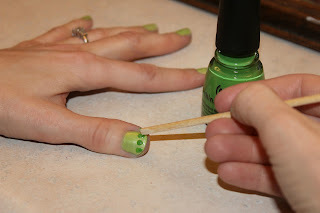 connect the dots using a toothpink, orange stick (see above) or polish brush. you will essentially be making triangles on either side of center dot. enjoy your festive bow ties. Cute! This is one I think I could actually do!